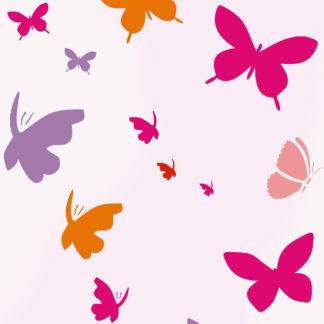 View cart “Little Snowflakes Stencil” has been added to your cart. 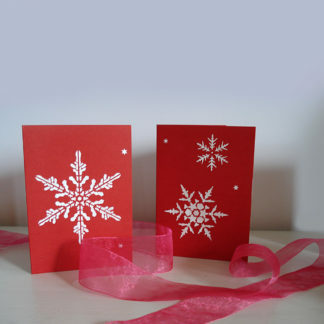 The versatile Snow Stencil is a one sheet design of small falling snowy dots and blobs. 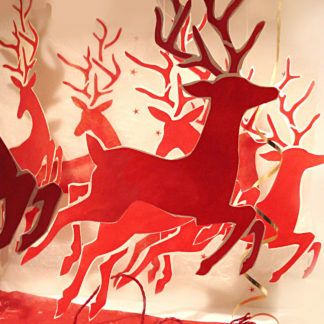 Perfect on its own or to add snowy seasonal feel to many a stencil creation. 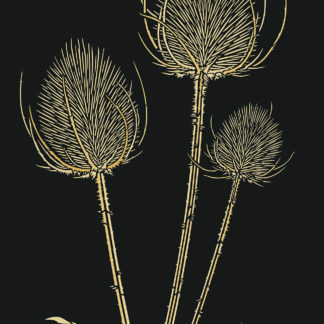 One large sheet stencil – see stencil layout and size specifications below. 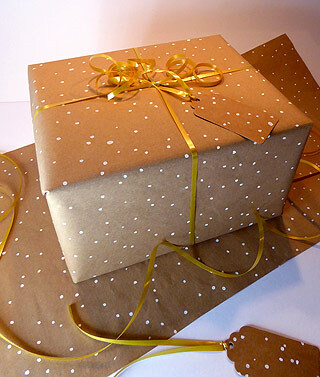 The Snow Stencil is shown here with a range of our stencils and as easy to make gift wrap. 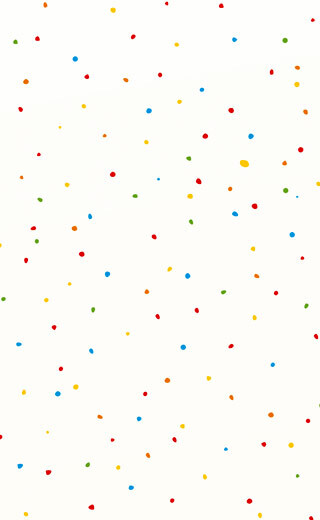 The Snow Stencil can also be used as a simple abstract irregular dot pattern stencil stencilled in bright pops of colour. 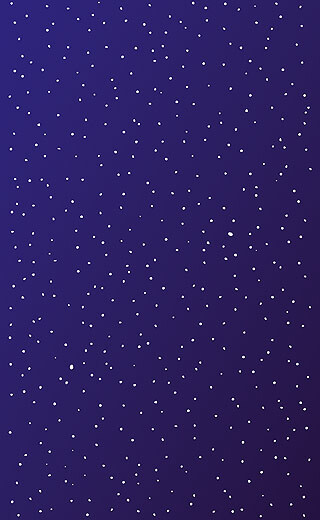 Above top – the Snow Stencil in simple Ice White Stencil Paint on a dark inky night-sky background. 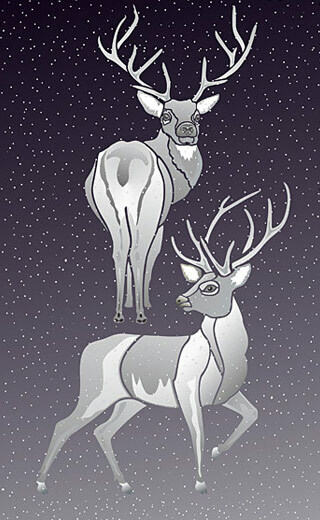 Above – the Snow Stencil shown with the Large Wild Stags Stencil 2 & 3 in Ice White, Shoreline and Arctic Grey on a black-grey background. 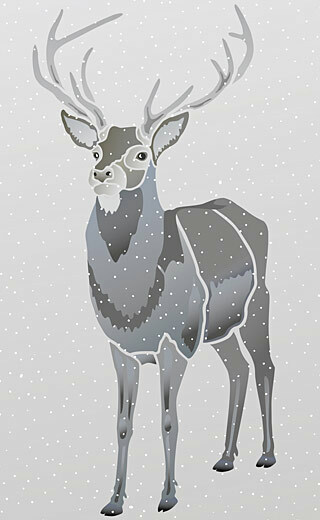 Above – the Snow Stencil shown with the Large Wild Stag Stencil 1 in Ice White, Shoreline, Arctic Grey, Storm and Jet Black Stencil Paints. 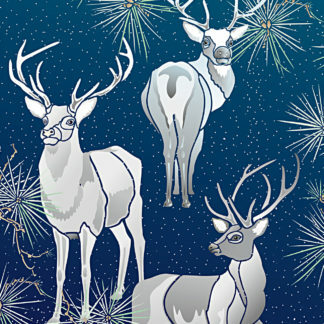 Above – the Snow Stencil with the Large Wild Stags Stencil 1, 2 & 3 Theme Pack – creates a magical wintry landscape. 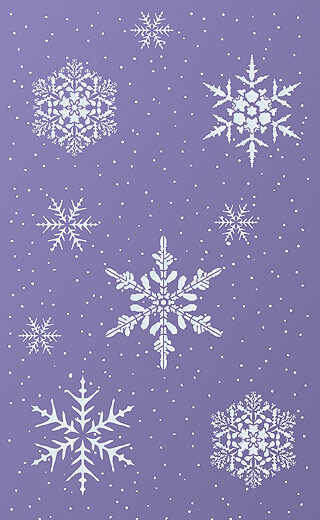 Above – the Snow Stencil with the Small Snowflakes Stencil in Ice White Stencil Paint on a lilac coloured background. 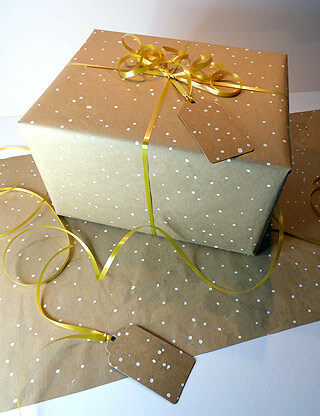 Above – the Snow Stencil has been used to create simple seasonal wrapping paper and gift tags. Stencilled in Ice White Stencil Paint and over-stencilled in Pearl Metallic Stencil Paint – a quick and easy style solution! 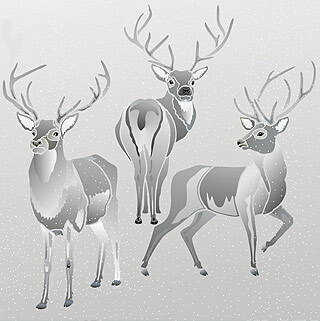 Above – create contemporary abstract irregular dots and spots with the Snow Stencil. 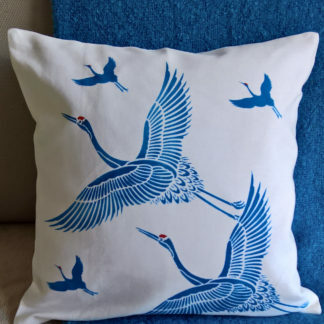 Great for simple and stylish cushion covers, pillowcases or small wall areas. Takes a little time, but well worth the effort! Above – close up detail of colours used (above and here) – Very Berry, Harvest Gold, Seville Orange, Summer Skies, Verbena Stencil Paints. 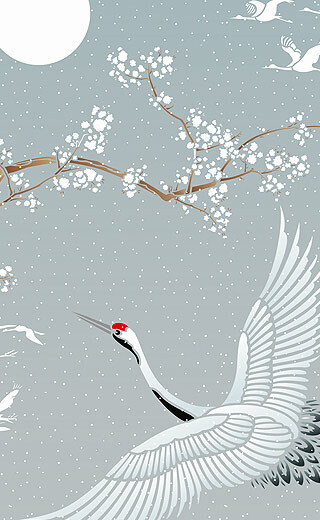 Above – create a beautiful wintry mural with the Cherry Blossom & Moon Stencil and the Large Flying Cranes Stencil. 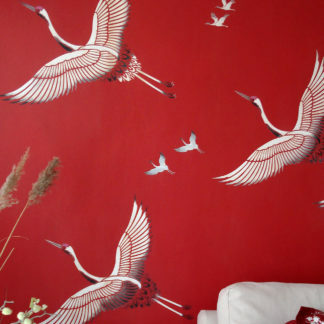 Shown in Ice White, Shoreline, Very Berry, Jet Black and Chocolat Stencil Paints. 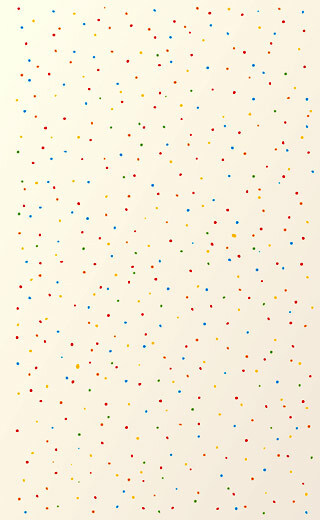 One layer stencil with small dots and blobs covering one whole sheet of 125 micron mylar. The snow designs measures up to 35.7cm/14″ wide x 60.7cm/23.75″ tall at furthest points. 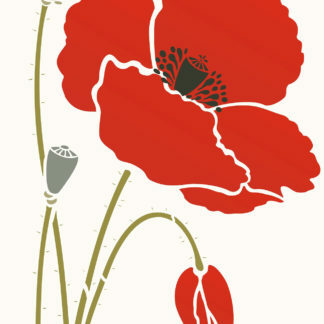 Sheet sizes 41cm/16″ x 62cm/24.25″ tall. The stencil is designed to be repeated freestyle and is easy to align by eye as required. 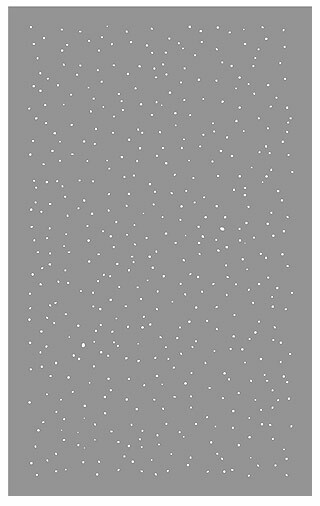 Left – shows the layout of the Snow Stencil sheet.